this plant-basd lotion, made with organic aloe vera juice and organic coconut oil, is all kinds of luxurious. it’s perfect for everyday moisturizing, so your skin will always feel nourished. 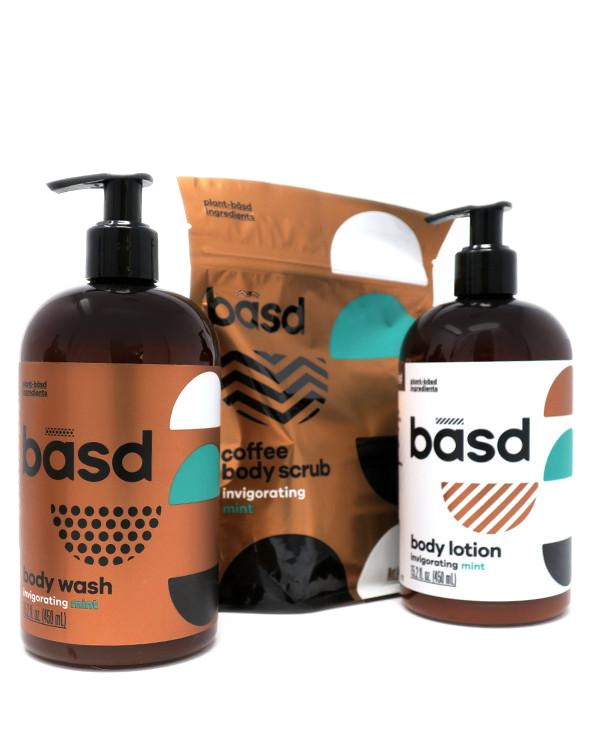 plus we know basd babes will love this warm and woody sandalwood-bergamot fragrance, with alluring floral and citrus notes and a sophisticated hint of spiciness. the scent is soothing and calming—perfect for both the start and end of a busy day. five organic moisturizers won’t clog your pores—aloe vera juice, sunflower oil, shea butter, coconut oil and cocoa butter come together for the ultimate in hydration. hit of caffeine for the powerful benefits of targeting skin imperfections, like acne, stretch marks and cellulite.